Don’t rush through this…which number comes after the other number when you count? Circle the number in each set that is greater than the other one. 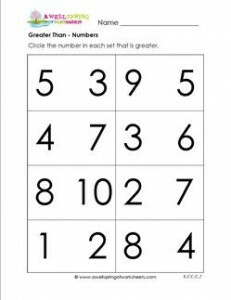 Please go to this page to see all the greater than and less than worksheets in this set.